In recent years, Nintendo has grown into a towering Disney-like institution that reveres nostalgia. They’ve even taken to celebrating the anniversaries of their classic creations with special releases, sometimes through a simple re-packaging and other times through entirely new games. However, with their big mascot Mario celebrating his big 3-0 this September, Nintendo have delivered their greatest gift of fan service yet. They didn’t merely release another Mario game, since that’s been done so many times in so many ways. Nope, they’ve delivered a game that allows long time Nintendo fans to create their own Mario game, combing all of the tools from all of the eras within a network that will allow Nintendo nuts to keep cranking out and sharing their own Mario gold for years to come. Nintendo often gets criticized for sticking with simple games in an era when the medium is expanding into an art form. However, when the big N delivers an innovation like Super Mario Maker, it tends to be something simple enough for everyone to grasp and complex enough to endure for years. That’s pretty damn special too. 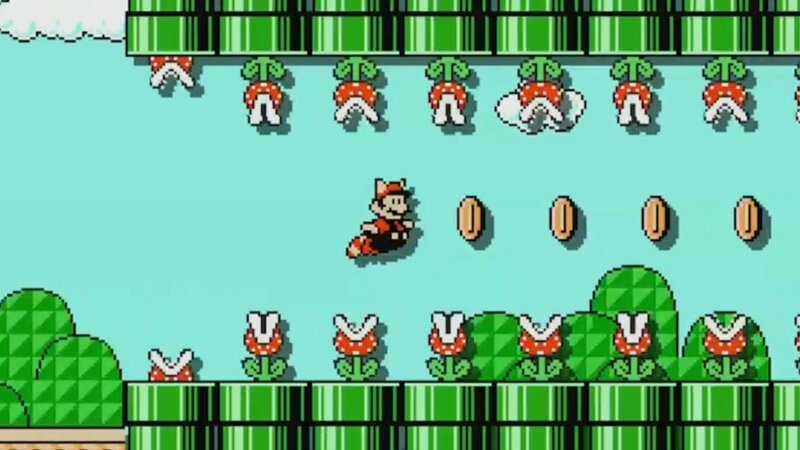 The game kicks off by throwing you into the very familiar sight of the first level of the first ever Super Mario Bros. game. The graphics, music, obstacles, enemies, and everything else are exactly as you remember until suddenly the level doesn’t appear to be finished halfway through. From there players are quickly and smoothly introduced to the Mario Maker interface and asked to complete their first level. It’s a simple and brilliant introduction to a game that’s remarkably easy to dive into, especially since there hasn’t been much like this available before. That level ease and sense of creativity defines the game as a whole, so the intro is entirely appropriate. For quite possibly the first time, the Wii U’s gamepad feels like a vital necessity. Though it’s obviously more fun to play through any Mario level on the TV screen, designing levels is infinitely easier with touch screen controls. Everything is clearly laid out and intuitive. Part of that of course has to do with the fact that we’re talking Mario here. All of the items, enemies, and even course elements are instantly recognizable from so many years of Mario gold. You can change between above ground, underground, and underwater levels with the press of a button and it happens instantly. You can change between the graphic styles of the original, Mario 3, Super Mario World, and New Super Mario. Bros. just as quickly and each brings along their own distinct enemies and design elements that you know so well. There is a clever tutorial device to help explain the interface if needed, but honestly anyone who knows Mario well enough to buy a game that lets them make their own levels won’t need much help. Everything you could want is right there in front of you. Trying your creation in the middle of design is also as simple as pressing a button and happens instantly without a moment of hesitation or rendering. You can even drop Mario into a specific section for troubleshooting. I’ve heard rumours that this project started as an actual design interface for Nintendo programmers and I believe it because it’s remarkable how easy to use and carefully constructed it all feels as if this thing has been in development and practice for years. On top of that, there are level design additions unique to this release, many of which embargos prevent me from discussing, but some like user-recorded sound effects and surprise disco lights speak for themselves. 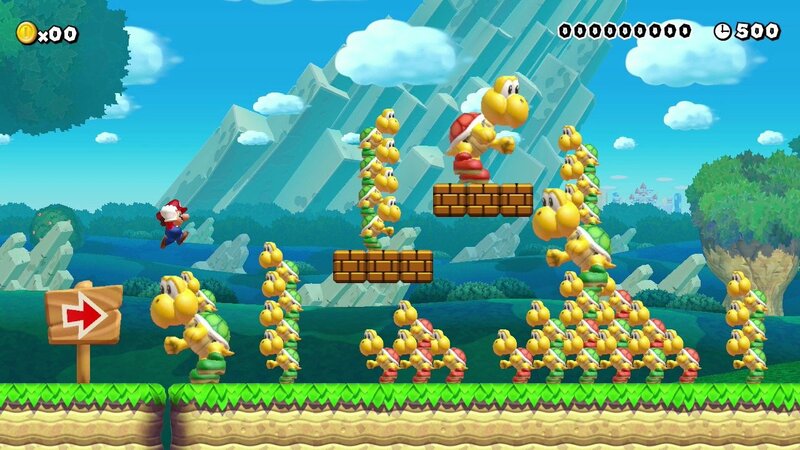 This game doesn’t merely rest on the laurels of the classic Mario elements, there are building blocks for unique levels that could only come from this release. There will likely be more made available over time in the eShop as well. That’s the way modern games work after all and with this particular title it almost feels appropriate since Nintendo have designed a game with the potential to grow and expand for replay indefinitely (ex: you can’t really design epic boss battles just yet, but that dream feels like a mere DLC away from reality). Once you’re done creating your little Mario masterpiece, uploading it to a vast shared network is just as quick and easy. Wisely, you’ll have to prove the level is beatable with a playthough before uploading (thank god, because otherwise the network would be filled with frustratingly impossible levels from trolls). After that, it only takes a few seconds for your level to get out there and the same amount time to find yourself in a sea of player created Mario content. Even now before launch, it’s amazing just how many player created levels are already available and how creative some of the designs are from elaborate Rube Goldberg-style designs that players don’t even have to move with to complete, to surreal psychedelic odysseys, and even the first official Mario Rick Roll. Nintendo slowly let this app seep out into the world so that various fans and friends could get started on filling up the Nintendo Network’s vast array of Mario creations and it will only grow from here. That’s inevitable. The game also tosses in a huge stack of playable levels designed by Nintendo on the disc, all of which offer oddball twists on familiar formulas and surprising challenges. 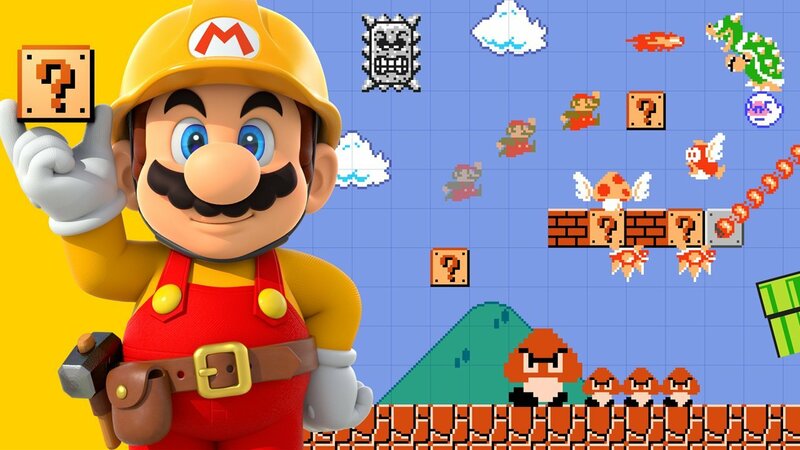 Playing the levels built into the game will also help you unlock new items and options in your Mario Maker as does playing through user created levels online. Once again, it’s a pretty brilliant choice. When you first start playing, the options are limited enough for any player to grasp level creation quickly without being overwhelmed by possibilities. Unlocking the rest of the content requires playing through so damn fun Mario levels which that show players the new items and how they work before they get a chance to design themselves. Clever girl, Nintendo…clever girl. 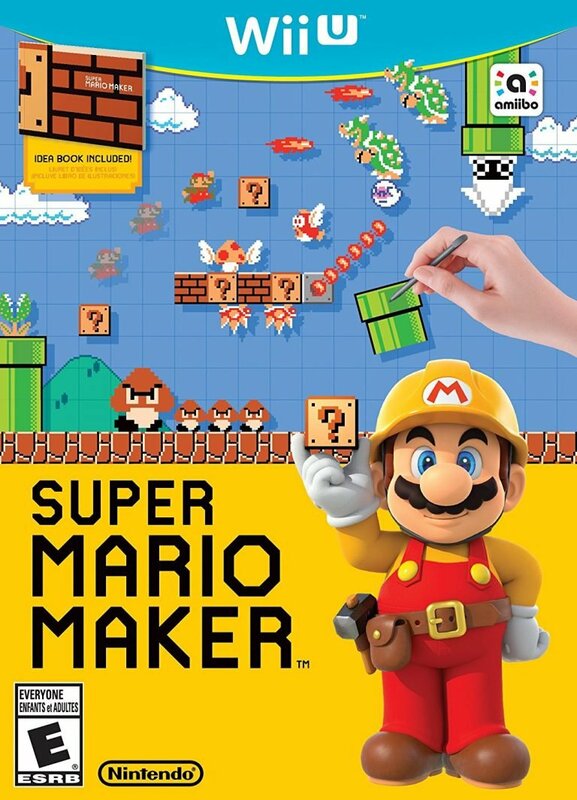 What’s most exciting about Super Mario Maker is that despite all the fun I had goofing around building my own levels and sampling levels created by players worldwide, I know I’ve barely gotten a taste of what will make this game great. By hinging on user-created content, Nintendo have created a game that will get generate sequels every second as players continue to toy around with the design possibilities and share their Mario creations with the world. If the game is a success, it could continue to feel fresh and playable for as long as the Wii U exists and that’s incredibly exciting. This is a brilliant game and one that only Nintendo could have created because it requires the decades of familiarity that players have with Mario to work. Sure, LittleBigPlanet offered a similar style of online user-created content and something like Minecraft offers players far more design options, but neither of those games let players dabble in the iconic Mario universe and that’s just enough to make this sucker special. anniversary of everybody’s favourite videogame mascot. This title already feels like a new classic for Nintendo and it hasn’t even been released yet. Happy birthday Mario, you lovable little vaguely offensive ethnic stereotype. However, when the big N delivers an innovation like Super Mario Maker, it tends to be something simple enough for everyone to grasp and complex enough to endure for years.